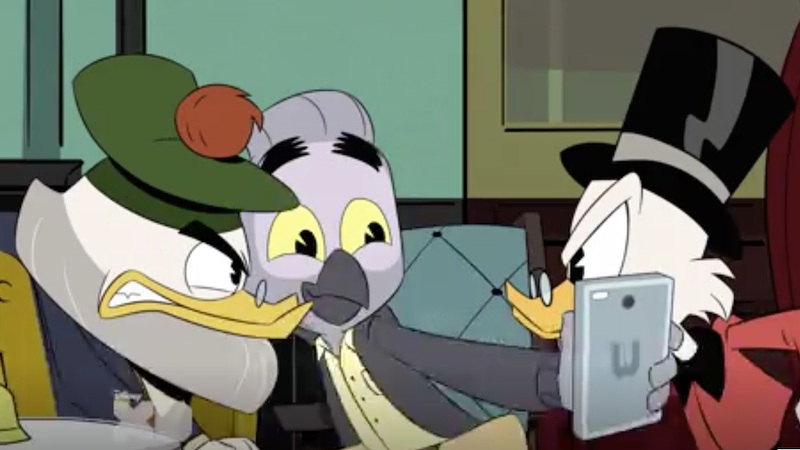 At San Diego Comic-Con, the brand new DuckTales character of Mark Beaks was described as the “only thing” that Flintheart Glomgold and Scrooge McDuck hated more than each other. And in this clip of his introduction, it’s easy to see why. Beaks, voiced by Silicon Valley’s Josh Brener, is thoroughly annoying here, down to the remix of bagpipes that he plays. His company is headquartered in Duckburg’s hipster neighborhood, Silverbeak, and his company is called “Waddle.” He’s literally using his phone to track the minute he’s worth a billion dollars so he can join the Duckburg Billionaires Club.